The first days of spring mark the end of the Cypress Provence distillation period at Distillerie Duffez. Spring is the season of distillation of less important plant varieties in volume than Cypress Provence or lavender and lavender. So began this week the organic juniper harvest. This plant particularly appreciates the very calcareous soils we have in Drôme Provençale. 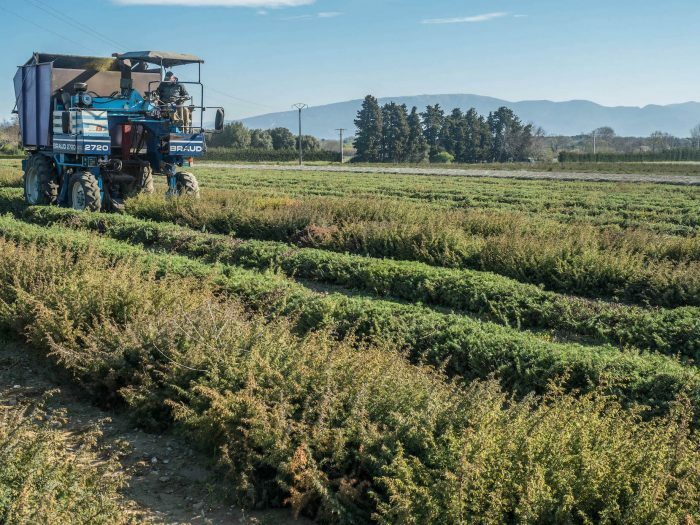 We have organic juniper fields on our parcels that are harvested every year. 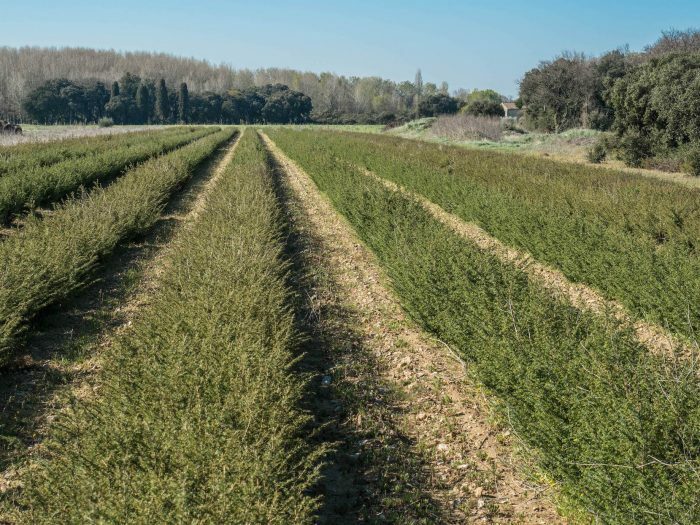 The principle of cultivation and harvesting is the same as that of our organic cypress. 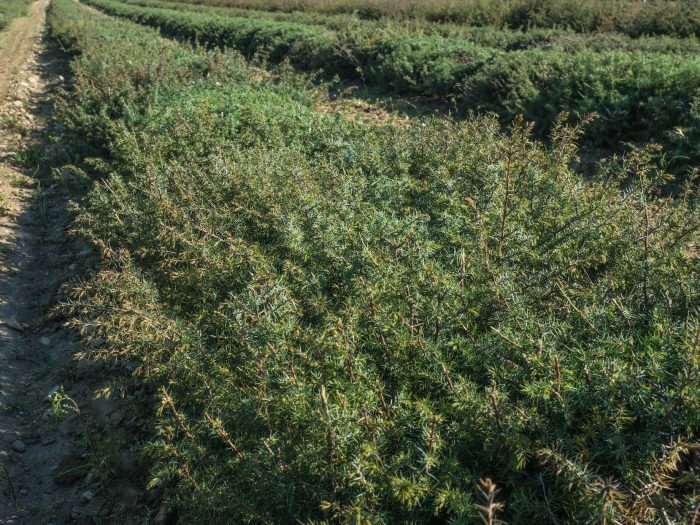 Junipers are arranged in rows. We use a silencer to cut and harvest the top of the branches. The use of juniper dates back to ancient times and the Middle Ages. 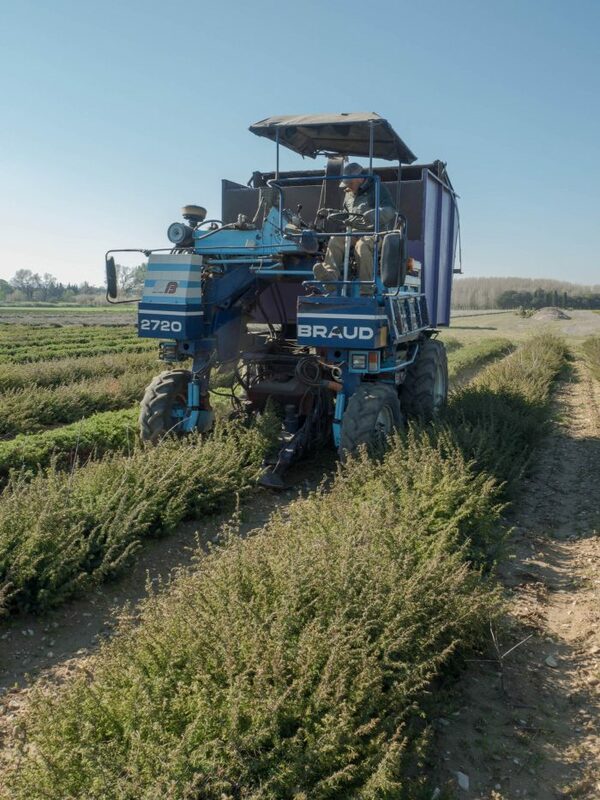 Juniper fumigation was performed to benefit from a disinfectant action of the plant. These fumigations were carried out in the streets to fight epidemics such as plague or cholera, and to clean up the interiors. 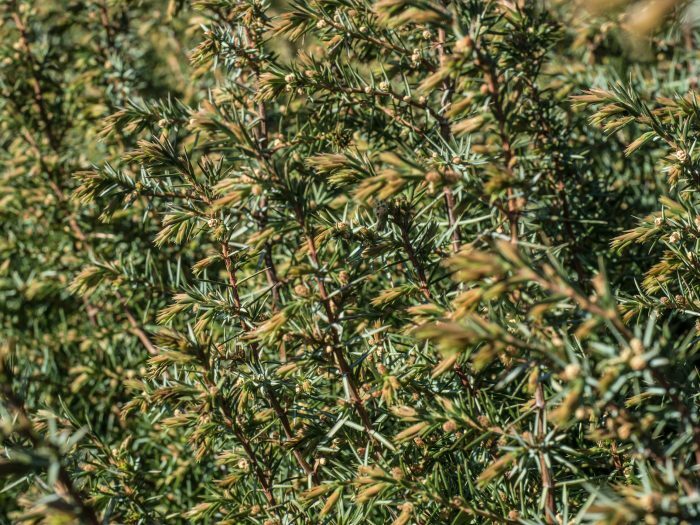 The juniper was also used to make «juniper wine». A mixture of wine, sugar and crushed berries, it was said to have diuretic properties. Our juniper fields were planted a few years ago. This robust plant is perfectly adapted to the climate of the Drome Provençale. Weakness of precipitation does not alter the plant, which is accustomed to high heat and low precipitation. Do not hesitate to visit our online shop to order the organic juniper essential oil we produce! You can also discover all of our essential oils and floral waters produced in our family distillery since 1947.